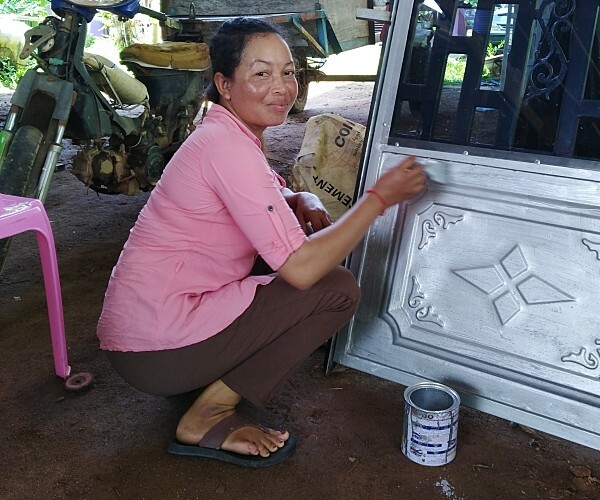 Previously in the year, we spoke with Saren Koh from our Livelihood Enhancement for Economic Development (LEED) program in Cambodia. We recently caught up with Saren to see how she was progressing in the program. Saren is a 31-year-old mother of 2 living in Krampong Chnang province. Initially, like many in Cambodia, Saren primarily worked as a farmer. However, with an initial loan of $200, she was able to start her own welding business primarily focused on roofing. Over time she developed more skills from the LEED program for her business and this has allowed her to expand. She now does welding for a larger amount of customers building roofs, doors, balconies, frames and much more. 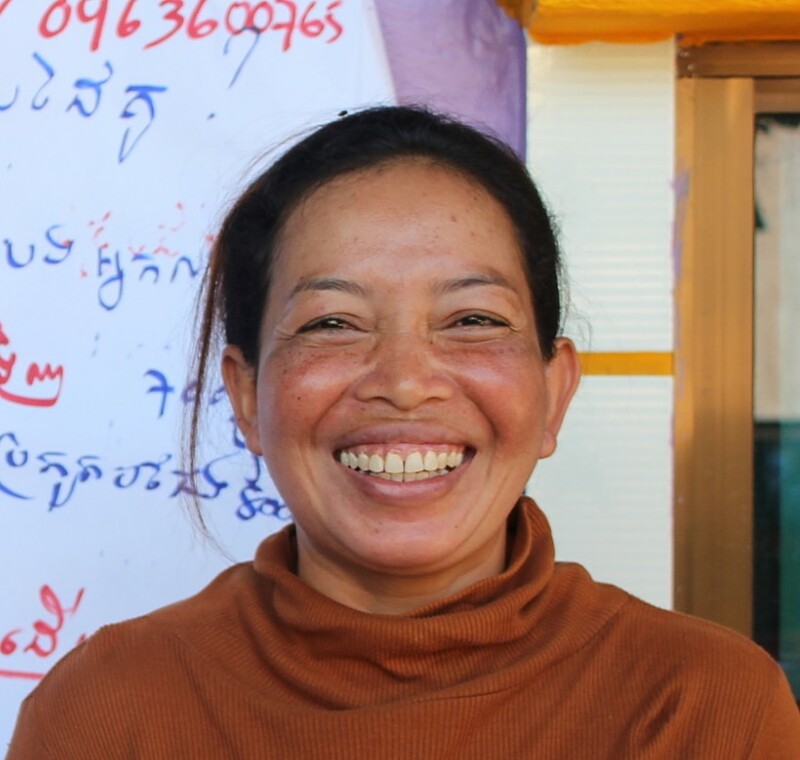 We asked Saren a few questions about how LEED is improving her livelihood! How have you been improving your business? We have built relationships and networked with relatives, villagers and other businesses. We saw the market demand and plan to continue to expand networking with builders both inside and outside our community. What progress has your business made? Our income has been increased by a large amount. Welding iron is a great business as there are many people that need your services. People like villagers, builders and even schools need items like roofs, doors and windows. How has your life changed for you and your family? We have had a significant change in our lives. I have better business skills, more income and have built confidence in doing business. My family has also benefitted greatly as we are much more involved in the community now and I can send my children to school. The LEED program strengthens the economic development and improves the lives of disadvantaged Cambodians, particularly women and those with disabilities. This is achieved through education, vocational training and financial inclusion. Cufa project officers provide training through theory and real practice for business skills and development. Participants are also provided financial literacy lessons and connected to a community-owned bank for financial services. This is all done with the aim of successfully improving the livelihood of villagers across rural Cambodia. Find out more about Cufa’s LEED program.